Union forever, freedom to all. Viva I America, home of the free! 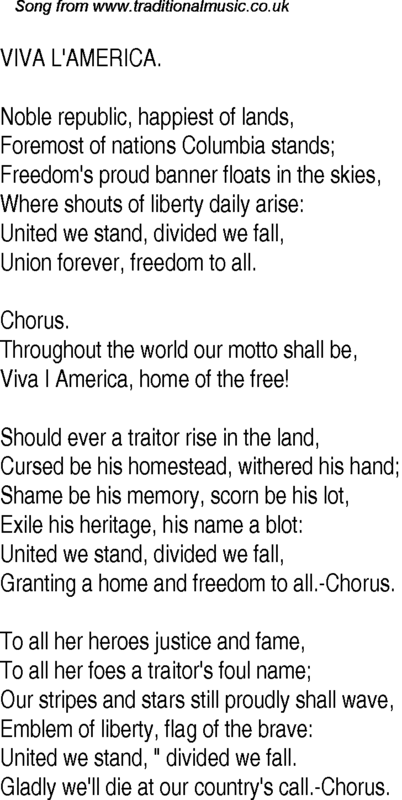 Granting a home and freedom to all.-Chorus. United we stand, " divided we fall. Gladly we'll die at our country's call.-Chorus.